If you only update your new season wardrobe with one piece, make it this gorgeous dress. 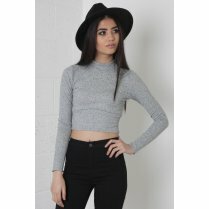 The sleeveless design works perfectly with the roll neck detail, making it an essential for every girl. Style yours with knee high boots & a leather jacket for a rock chick look.